Before moving on to the final step, the closing process, it helps to go through a pre-closing checklist. Going through a detailed checklist makes sure everything is in order for the actual closing. Think of it as a dress rehearsal before the big show. Your pre-closing checklists should include a number of things that must be sorted, from the terms of the loan, to the appraisal and various documents that will lead to a successful closing. Check out our closing costs calculator. The check list is a quick step in preparing you for the big day. It begins with purchasing homeowner’s insurance set to go into effect the day you move in to your new home. Then request your bank cut a cashier’s check to cover the down payment on the property as well as any additional closing costs requested by the lender’s attorney. This check should deduct the amount agreed to in the earnest payment deposit given after the purchase agreement is signed. Finally, the day before closing, give the property one last, thorough walk-through. Make sure that everything is in working order as you agreed upon. With the loan approved, cashier’s check cut, and the house in ready-to-move-in condition you’re ready to close. This final step in the mortgage process is known as Closing, or Settlement. 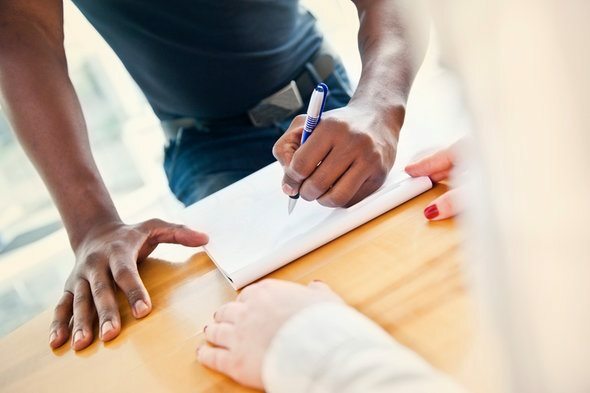 This step is a one-time meeting where you, your real estate agent, the previous owner, their agent, and an escrow agent will review every document in detail. Once the documents have been over with a fine comb, the process of transferring the property to you begins. Procedure varies from state to state meaning some of the aforementioned representatives may not be required to attend the closing. Be sure to check your local laws on how this process gets handled. Next, let’s go over the specific documents you will review at the closing meeting. The Mortgage Note and the Mortgage (or Deed of Trust, in some states) declares your understanding of the debt and promise to pay it back. It also declares the lender’s rights to foreclosure if the loan does not end up paid as agreed. The final Closing Disclosure acts as the final statement regarding changes to the loan’s structure and rates since the beginning of the application process. You will sign several Declarations and Affidavits as an understanding of both your obligations and rights as a new homeowner. You must also sign the Closing Disclosure, which calculates your actual costs compared to the loan estimate. After all of this is signed and filed away, the seller will hand you the keys to your brand new house. With that in mind, it is important to remember a few key tips. You want to ensure you are getting the most out of this arrangement. 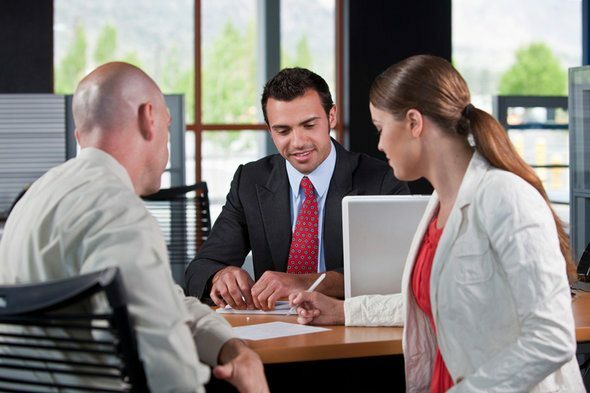 Most mortgage lenders will review documents in detail with you on closing day. Always ask questions if a number does not sound accurate to you – or if the mortgage lender offers a lengthy explanation of a change rather than an offer to fix it. Remember, even though this process is contingent on your credit standing, it is the lender’s responsibility to cater to what is best for you. They must answer questions thoroughly so that you understand this agreement thoroughly. Red flag any number that may be off even slightly. Don’t be afraid to ask questions to get answers to your satisfaction. But don’t be afraid to make a quick exit either! Generally, the best advice is always to be aware of changes, and asking questions is important anytime. Pay close attention when signing the Closing Disclosure, and note any changes since the loan estimate was issued. You should expect some differences, but a radically larger number should be thoroughly explained. More importantly, remember that it’s okay to walk away at any time. While you run the risk of losing out on what may be a great home for you now, don’t be intimidated into paying more than you should. Update: So many people reached out to us looking for tax and long-term financial planning help, we started our own matching service to help you find a financial advisor. A matching tool like SmartAsset’s SmartAdvisor can help you find a person to work with to meet your needs. First you answer a series of questions about your situation and your goals. Then the program narrows down thousands of advisors to three fiduciaries who meet your needs. You can read their profiles to learn more about them, interview them on the phone or in person and choose who to work with in the future. This allows you to find a good fit while we do most of the hard work for you.